Baldur's Gate falls under a dark shadow - will you be the one to push it back? 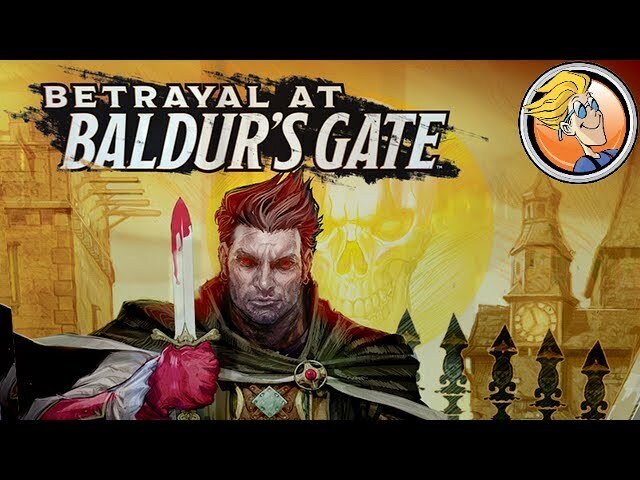 Betrayal at Baldur's Gate is a re-implementation of the classic board game of traitorous horror Betrayal at House on the Hill. Explore the streets and catacombs of Baldur's Gate, fight monsters and fend off the mind-bending horrors in fifty new scenarios in an all new setting. Buy Betrayal at Baldur's Gate to experience one of the classics of board gaming in the evocative and history setting of Dungeons & Dragons.